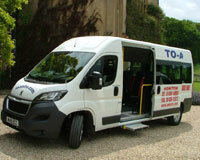 At To An Fro we offer a range of minibuses for hire, with options with 7, 8, 9, 16 and 17 seats. To An Fro's new 16 and 17 seater minibuses can be driven even if you received your licence after 1997 as long as you are over 25 and have held your licence for 2 years of over. 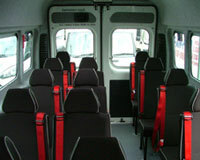 Minibuses are ideal for numerous different events including for weddings, hen or stag parties, and school trips. At To An Fro we also offer a range of other vehicles including vans, lorries, and cars. If you want to find out more contact our team to find out more about the service we offer.